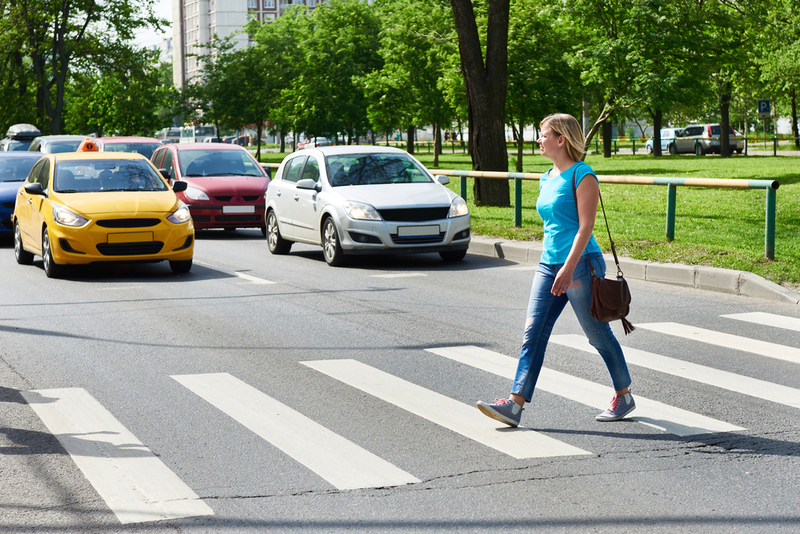 Right-of-way laws are put in place for the protection of motorists and pedestrians. Most accidents occur because of the failure to understand and observe right-of-way laws. It is important that you learn them in order to protect yourself and others that you may encounter while you are driving. If you are approaching an intersection at approximately the same time as another motorist, the vehicle that is on the right has the right of way. If there are vehicles or pedestrians in the intersection when the light turns green, you may not proceed. You have to yield the right of way to any vehicles and people who are already in the intersection. If you are entering a street from a driveway, alley or farmyard, you must yield right of way to vehicles that are already in the street. A roundabout is a circular, one-way intersection. When you are attempting to enter a roundabout, you must yield right of way to any vehicles that are already in the circle. Slow down, be prepared to stop, and observe the traffic to your left. You do not have to worry about traffic on the right – these are the vehicles that have already passed you. Make sure there are no cyclists or pedestrians in the circle, and then proceed. You must always yield right of way to pedestrians, even if they are crossing where they shouldn’t. Be especially alert for blind people, who can be identified by a guide dog or a white cane. You must always yield right of way to emergency vehicles when their lights are flashing and you can hear their sirens. If you are already in an intersection when an emergency vehicle approaches, keep moving through the intersection and then pull over. One very common misconception about right-of-way laws in Hawaii is that you can be assigned demerit points to your license if you violate the rules of the road. In fact, this is no longer the case. Hawaii no longer uses a point system. If you commit a traffic violation, you will not have points assigned to your driving record. That does not mean, however, that no one will know about it. Convictions will show up on your driving record and your insurance company can access that information. Potential employers can also access that information. In Hawaii, you can be assessed a fine for failing to yield, which will be determined by the court. If you are a persistent offender, you may need to attend driving school. For further information, refer to the Hawaii Driver's Manual, pages 32, 36, 44, 65, and 95.